How many of you would say you see a moderate number of glaucoma suspects or glaucoma patients? 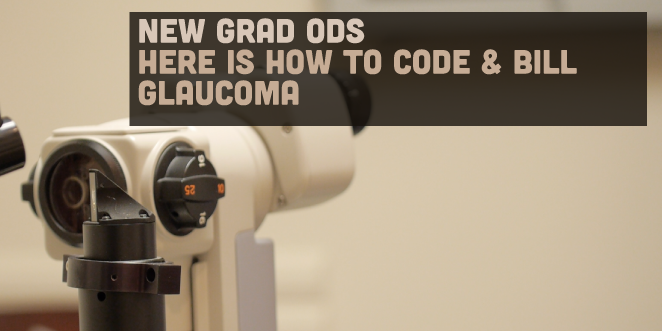 How many of you can say you know how to code for glaucoma like a pro? We will start with how to code for glaucoma based on the severity of the disease and then how to code for ancillary testing. Medicare put out staging codes for glaucoma on October 1st, 2011 and all the insurance carriers had to make that change starting January 1st, 2012. I did not remember learning about glaucoma staging codes while I was in school. When I looked into the codes, it was not hard to learn. First code the type of glaucoma based on the signs and symptoms of the patient. Next we have to determine the severity of glaucoma in the worse eye. Depending on which source you look at (AOA, American Academy of Ophthalmology or CMS), the definition of severity is a bit different. American Academy of Ophthalmology ON changes consistent with glaucoma but no VF abnormalities on any visual field test or abnormalities present only on short-wave-length automated perimetry or frequency doubling perimetry ON changes consistent with glaucoma and glaucomatous VF abnormalities in one hemifield and not within 5 degrees of fixation. ON changes consistent with glaucoma and glaucomatous VF abnormalities in both hemifields and/or loss within 5 degrees of fixation in at least 1 hemifield. CMS 1 or more of the following in the worst eye: IOP>22mm Hg, symmetric or vertical elongated cup enlargement with neural rim intact and C/D ratio >0.4, focal optic disc notch, optic disc heme or history of optic disc heme, nasal step or small paracentral or arcuate scotoma or mild constriction of VF 1 or more of the following in the worst eye: enlarged optic cup with neural rim remaining but sloped or pale and C/D ratio>0.5 but <0.9, focal notch with thinning of neural rim or definite glaucoma VF defect (arcuate/paracentral scotoma), nasal step, pencil wedge or constriction of isopters. 1 or more following in the worst eye: severe generalized constriction of isopters, absolute VF defects within 10 deg of fixation, severe generalized reduction of retinal sensitivity, loss of central visual acuity, diffuse enlargement of optic nerve cup (C/D ratio >0.8), wipeout of all or portion of the neural retinal rim. Codes for staging glaucoma include 365.71 (mild glaucoma), 365.72 (moderate-stage glaucoma) and 365.73 (severe glaucoma). 365.74 is for indeterminate stage of glaucoma, which includes unreliable/uninterpretable visual; field testing, patient incapable of visual field testing or visual field not performed yet. You can go here for clinical examples related to staging, which is set up by American Academy of Ophthalmology. When I started seeing patients on my own, I did not know which tests could be done on the same day. Before we get into that, let’s cover some ancillary glaucoma tests. I have included approximately how much Medicare/CMS pays for each test in the parenthesis in my area. 92100 ($80.00) – Intraocular pressure (IOP) is checked at least three separate times in the course of a day with 3 or more IOP measurements. This procedure is usually done when someone is having an angle closure attack or if there is large fluctuation in IOP to determine or re-evaluate treatment options. 76514 ($14.00) – For most insurances, this procedure is only billed once in a lifetime if a patient has glaucoma. With some diseases, it can be billed multiple times, which we will cover in a different article. In order for any of the above tests to be billed to any insurance carriers, you must have interpretation and report. Depending on the insurance carriers, some of these tests can be repeated during either a calendar year or a year from the date of service (you would have to check with specific insurance regarding this). Most insurance carriers will allow one OCT for glaucoma suspect or mild glaucoma and two per year for moderate glaucoma. 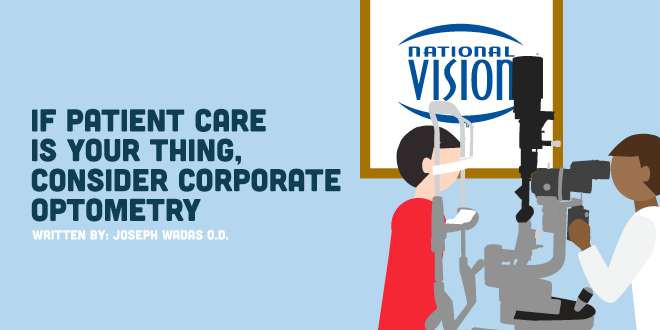 Per CMS, you can do either scanning ophthalmic computerized diagnostic imaging (OCT) or fundus photos per visit. For example, if you were to do fundus photos for today’s visit, you can do an OCT when the patient returns for a follow up. Also, when a patient returns for ancillary testing or intraocular pressure check, you can bill an office visit (992xx codes) along with other tests. If you have any questions regarding the article or coding in general, please let me know. I will try to answer them or refer you to a source who can help you. McGreal Jr., J.A. Understanding Medicare guidelines: 2014. I graduated in 2014 from University of MO, Saint Louis. I currently work at a private practice in Rock Hill, SC (30 minutes south of Charlotte). Just an FYI, the code for moderate stage glaucoma is 365.72. Thanks Scott, we will make the changes ASAP. Thanks so much for letting us know!